Kristina Elyse Butke: Work. Words. Contests. Anime. Book. Today was an off day. It would be insanity to completely take an entire day off from writing the book but that's what I had to do. Had a lot of house work today. Including installing new beds, mattresses, bedding, etc for three rooms in the house. This took waaay longer than it needed to. So most of the day went to this. Today is also the day Ohayocon accepts panel submissions. So I budgeted out a significant chunk of my day for writing outlines for my panels. Ran out of time tonight, so I'll have to type my subs tomorrow as soon as I wake up. And speaking of contests, I won one for writing! Deviant Art celebrated its 12th birthday by holding all sorts of contests and fun activities for its members. Now, this writing contest was a Mad Libs inspired competition, so it's not like these stories had to make any sense or be particularly brilliant...but my Mad Lib was one of fifty chosen as a winner. This is the CONTEST ...This was MY STORY... and this is MY PRIZE. Wahoo! I'm still in a state of shock about it. In other news: as for the anime watchlist, I gave up completely watching xxxHolic. Left off at episode 19, and just couldn't sit through any more. It's not an awful series, but it didn't hold my interest. At its best, parts of it reminded me of the Real Ghostbusters cartoon series from the late 80s and early 90s, with some neat, dark paranormal moments and interesting philosophy embedded in the story. But what got on my nerves was the repetition: Watanuki freaks out about Himawari. Watanuki hits his ballistic button around Domiki. Yuko gives a long, explanatory monologue about inevitability, intention, and blah blah blah blah. I remembered the name of this show because a speaker at an Ohayocon panel waxed euphoric over it and made it sound mind-blowingly phenomenal. I can't feel how she did about this show, but I do wonder if I familiarized myself with all of CLAMP's works (their universes tend to overlap), if xxxHolic would be better experience for me because of those connections. I'm on the third season of Soul Eater right now. This show is all sorts of weirdness, but I think that's part of the charm. It's definitely a fast-paced, badass series with cool, often frenetic music and its own special aesthetic. 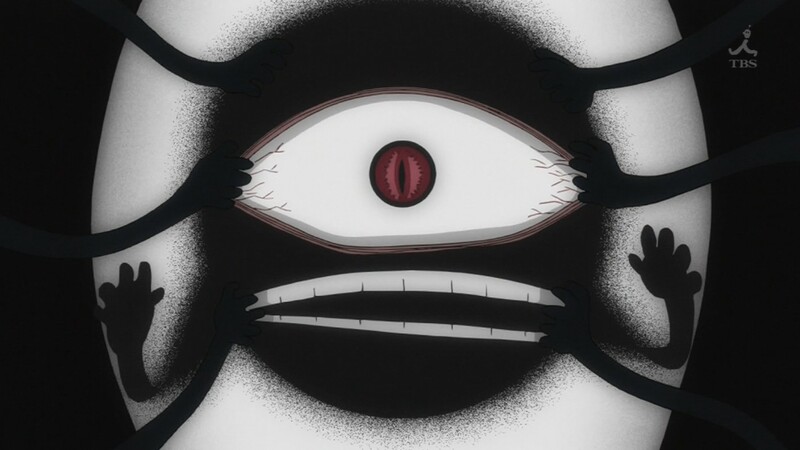 Sometimes the animation and artwork reminds me of Gorillaz, LoZ: Majora's Mask, and FMA Brotherhood...as it turns out, Bones, the animation studio that did both FMA and FMAB, is also responsible for Soul Eater. CONNECTIONS! Anyway, I'm much more emotionally involved with the characters in this show; the plot's pretty solid; and it's nice to hear some of the voice actors that I always hear using their voices a little differently for this series. And Crona, oh man, that character has a spot in my heart for some reason. The character is supercreepy but endearing, and the animation style, the character's dialogue, and Maxey Whitehead's performance is a major part of why I don't hate this character (but I totally understand if other people do). This show has my complete interest and will probably be one of the few anime series I will actually be able to watch from start to finish. Lastly-- I am simultaneously rewriting three chapters of The Name and the Key at the same time as of yesterday. So I don't know what my word count is anymore at the moment. I have been going back and adding a little bit more romance to the story, and try and make the main conflict come together sooner so readers don't stab themselves to death from impatience. I did get a revelation about my book's magic system yesterday. So that was a plus, and should help make writing magic-related chapters go faster (hopefully).